Growing Apples for Four Generations! Visit Grandad’s for the day and enjoy a variety of fun activities on a 80 acre family farm located in Hendersonville NC near Asheville. Select pre-picked apples fresh off the trees daily from our bins inside the store or venture out in the orchard to pick for yourself. 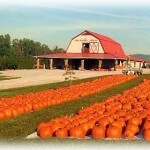 In Grandad’s pumpkin patch you will find pumpkins and jack o’lanterns in every size and shape. At Grandad’s Barn and Country Store, you will find a great selection of fall harvest decorations, apple peelers, apple bakers, and other apple gifts. We also have apple turnovers, apple bread, caramel apples and a whole lot more. And, don’t forget to try a refreshing cider slush or some hot cider! Slice peeled apples in a pie pan half full. Spread sugar and cinnamon over them. Mix flour, brown sugar and butter together. Spread over apples. Bake 375 for 30-40 minutes. 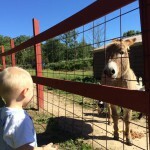 Visit Grandad’s Barnyard Corral where you will see a variety of farmyard animals, and have an opportunity to feed them. Pick a pumpkin at Grandad’s Pumpkin Patch. We have all sizes and shapes, including extra large and baby pumpkins to choose from. 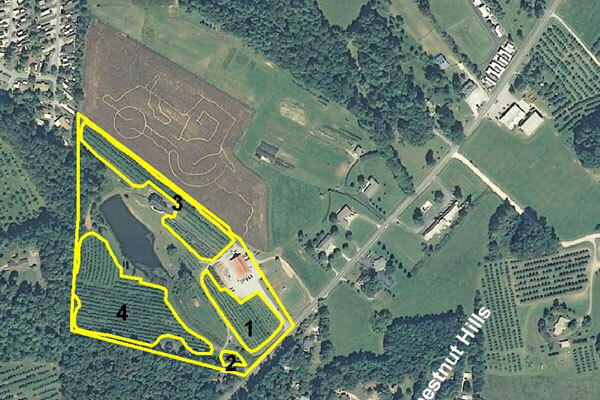 We grow up to 5 acres of pumpkins each year! Every year we plant 5 acres of corn and then create paths in a unique pattern through the field. We offer a fun-filled adventure, exploring our corn maze. Say Hi to a Goat! This goat is just one of the barnyard friends you can meet at Grandad’s. Seasonal, open 7 days a week, 8 a.m. to 5 p.m.